A shopping centre has reinstalled a statue of Michael Jackson after it was removed following numerous complaints it would offend customers. The statue was taken away after the Roedovre Centrum in Copenhagen, Denmark, received about 15 online complaints, mostly from families with children. They feared it may be vandalised due to fresh allegations the singer molested boys. A Channel 4 documentary, to be aired next month, features two men who claim Jackson abused them as children. 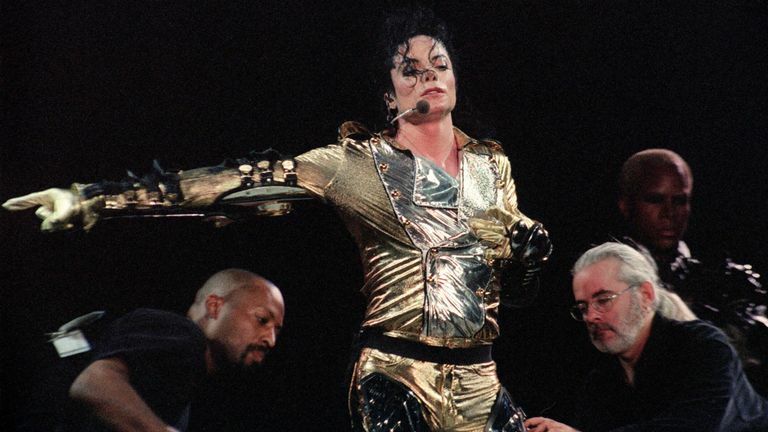 The late singer’s estate have complained and claimed the makers of “Leaving Neverland” made no attempt to get a response from Jackson’s family and friends. But Channel 4 have highlighted how the film, which premiered at the Sundance Film Festival last month, includes footage of Jackson’s own denials during his life. A post on the Roedovre Centrum’s Facebook page from director Jesper Andreasen said it was an “overreaction” to remove the Jackson statue. He added the star has “never been found guilty of any of the accusations against him” and the removal was an “expression of unnecessary cautiousness”. The shopping centre is currently displaying wax statues of a number of celebrities, including actresses Marilyn Monroe and Julia Roberts, on a central square. Jackson’s statue was briefly replaced with a model of actor Brad Pitt, but was reinstated on Wednesday. The Roedovre Centrum is the oldest shopping centre in Denmark and spans 90,600 sq ft (75,500 sq m).